Benton Central has several coaching opportunities this coming season. Looking for 3 HS coaches (possibly an OC position for right fit) and 2 JH coaches. Currently we do not have any teaching openings but I am sure that will change as the school year moves on. I will edit for each opening that comes available. If interested please message me on here or email me mhammons@benton.k12.in.us. 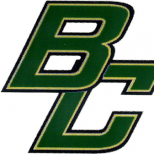 Benton Central now has the possibility of a Math opening for next year, plus a one year Project Lead the Way opening that could turn into permanent position. Please message me here or send an email to the above address. Here is an opening we have, says it is only one year but my understanding is it could be permanent. Math opening we now have, please fill out all required info and send it to the school corp and me so I can pass it on to my Principal.